Featured on the official Nokia blog and WPCentral! 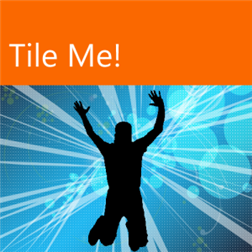 Tile Me! generates a Me tile from any of your pictures that can be used on social networks or message boards as profile pictures. Select a picture from your library, choose a color and share the Windows Phone love with your friends!